2 OWNERS AND FULL BMW SERVICE HISTORY! 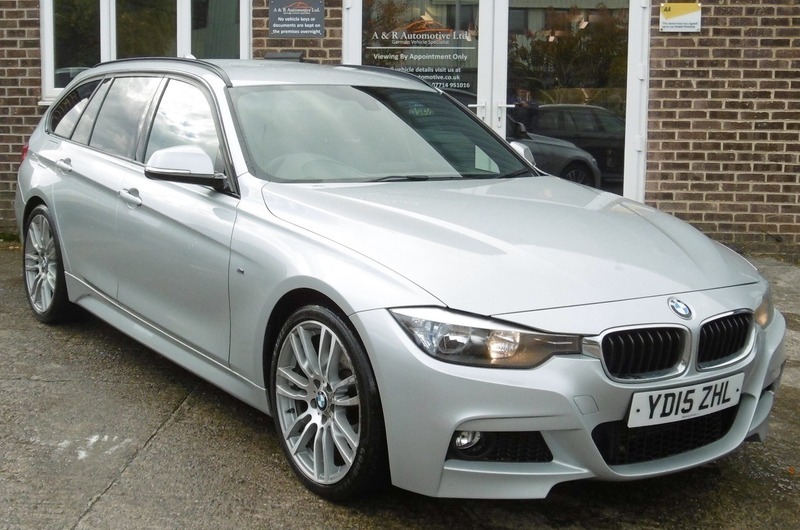 This M Sport Touring looks amazing and drives without fault. It comes with a new MOT without advisories and 2 keys. Freshly refurbished wheels! FREE 12 MONTHS AA BREAKDOWN COVER WITH ALL VEHICLES!! ALL VEHICLES COME WITH A NEW MOT (NO ADVISORIES), VEHICLE INSPECTION & 6 MONTHS WARRANTY VALID THROUGHOUT THE UK. A & R, Just Nice People To Deal With. A & R Automotive (Southwest) LTD are a credit broker and not a lender. We are Authorised and Regulated by the Financial Conduct Authority. FCA No: 823313 Finance is Subject to status. Other offers may be available but cannot be used in conjunction with this offer. We work with a number of carefully selected credit providers who may be able to offer you finance for your purchase.